The old saying “A picture is worth a thousand words” rings true in web design. 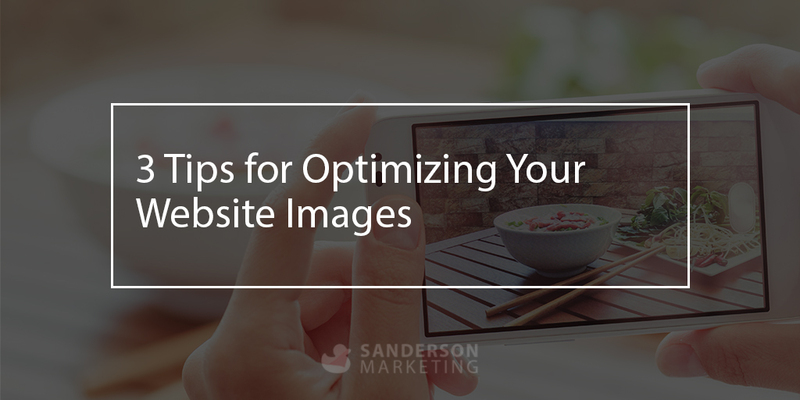 Whether you are posting content to a page on your website or writing a blog article, images play a huge role in capturing the reader’s attention. Using images that speak to your content will help keep a reader engaged. But wait…. don’t upload your image to WordPress just yet! Before you add images to your blog or website, here are 3 easy tips that will help with your page speed while also improving your SEO. Nowadays, even the most basic camera or phone will take great quality, high resolution photos. High res photos are great for printing but unnecessary for the web. High quality photos take time to load and can slow down the speed of your website. 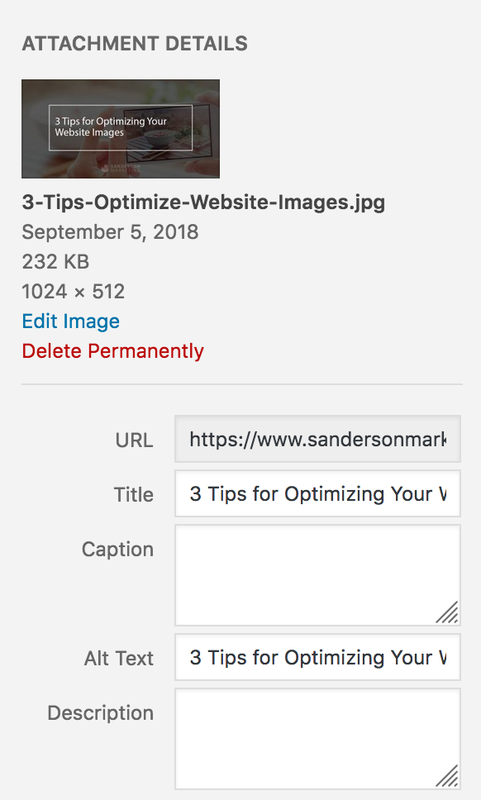 Reducing the size of your photo before you upload it to your website will save you time during the upload and while also saving space on in your hosting account. What size should you reduce your photos to? Well, that depends on your website layout. If you are displaying the photo full width, I would suggest starting with 2000px wide. If you are using the photo as a product image or featured image on your blog post, a much smaller size will be needed (try 800px wide). 2. Change the file name. The alt text is used by screen readers for blind and visually impaired people to tell them what is on the image. In addition to the accessibility benefit, there are also SEO benefits for using the alt text. After uploading your photo in WordPress, there is a blank for ALT text. Don’t skip this step; add in a few keywords that describe the photo. I usually use the same phrase as I used for the file name to keep things consistent. Warning: don’t over use keywords here. That could get you in more trouble than it will help you.